I read the Hunger Games trilogy long ago but we are reading it again now as a family since Kidlet wanted to so badly. Originally I said no way to him reading them. Unfortunately, almost all of his friends starting reading the books and he was dying so we met in the middle and decided to read them together. After reading the first book he said he was glad he wasn't reading it on his own. There's some heavy and mature stuff in there but reading them together has given us a lot of good opportunity for conversation. We are currently about halfway through the third book Mockingjay right now so it was time for a themed bento! 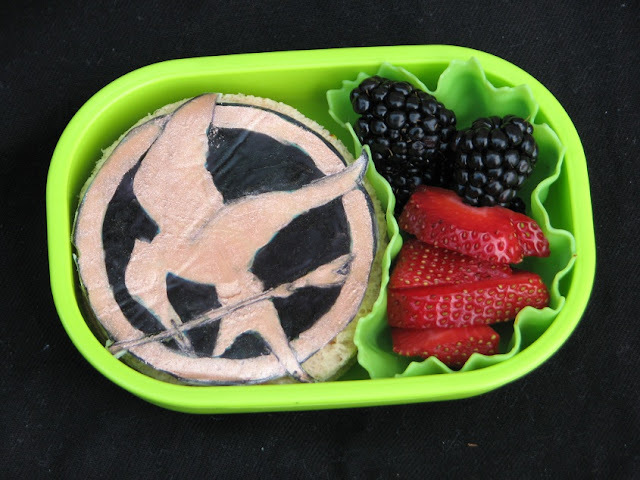 Kidlet has the Mockingjay symbol made of cheese and food coloring on top of a soy ham sandwich. On the side are blackberries and strawberries since those are things Katniss would gather from the woods to eat! 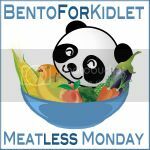 Today I have a super guest poster Cristi of BentOnBetterLunches. 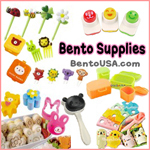 Check out her site if you haven't already because it's awesome! 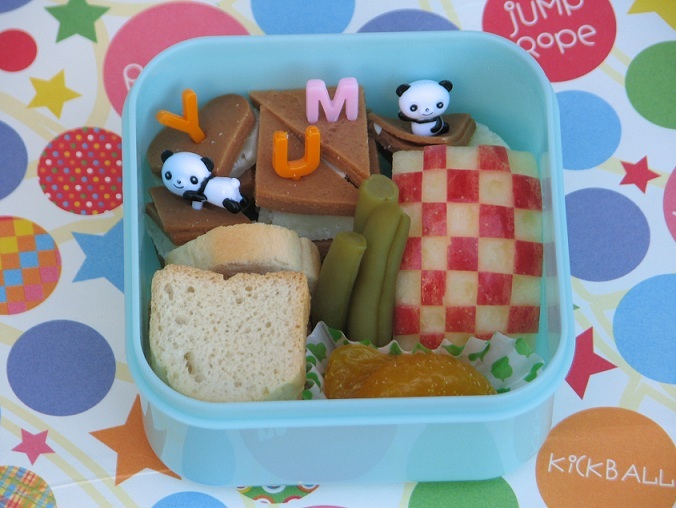 Not only does she made adorable lunches, but she does it for 5 kids! 5! I'm exhausted just thinking about it. 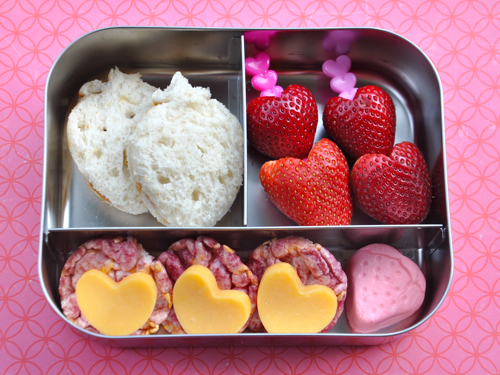 Today she is sharing her Berry Bento for Sproutlet. 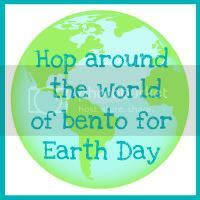 Earth Day is coming up so I'm participating in a Blog Hop to celebrate! 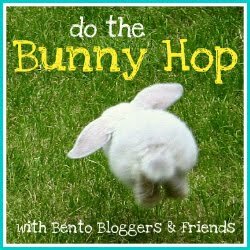 Hop through the different blogs to see some AMAZING Earth Day inspiration! Sadly, mine isn't so amazing but it is lunch and since I am still recovering from surgery that is amazing enough for me lol. 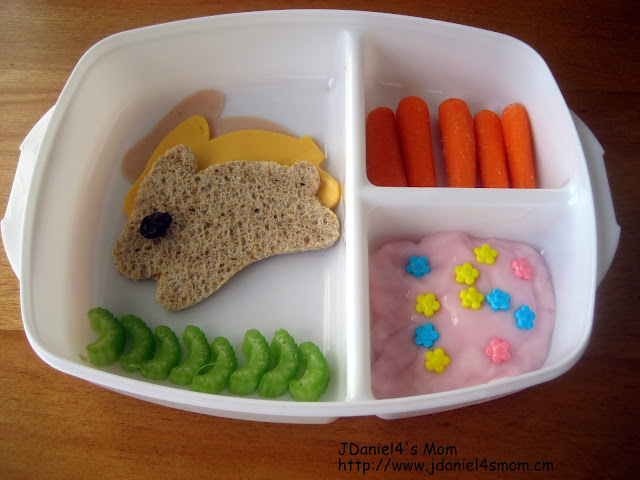 Today Kidlet has a soy ham sandwich with a cheese world, green and blue jello, checkered apple, and babybel cheese. 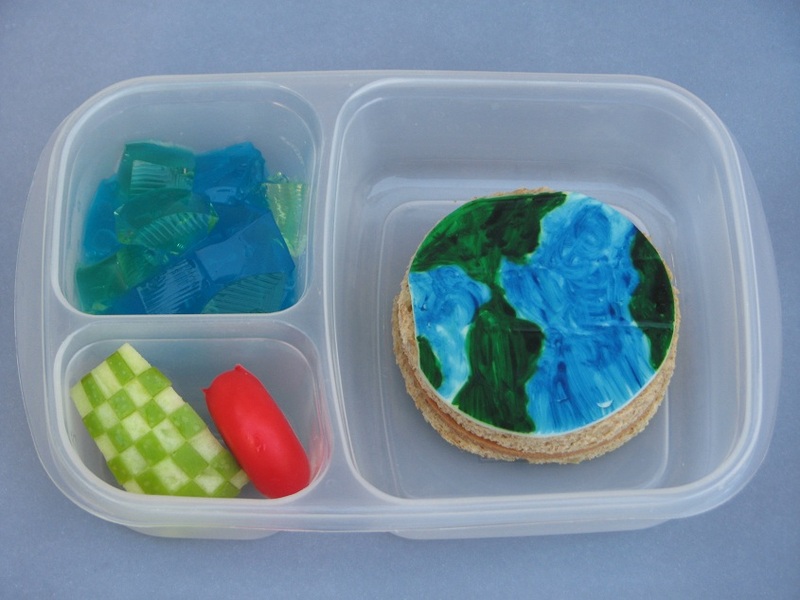 Head over to Keitha's Chaos to check out the next Earth Day lunch! She has some awesome storybook creations! 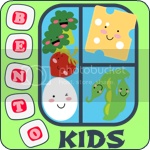 Today I have a guest post by fellow bento blogger JDaniel4sMom. 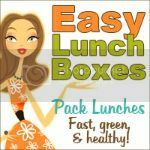 Check out her site for cute projects, lunches, and more! 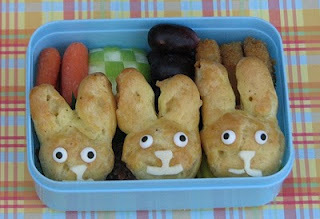 I am so excited about sharing my bunny hop lunch on Bento for Kidlet today. My son JDaniel loves turkey and cheese sandwiches. He would eat them everyday if he could. In an attempt to have his favorite sandwich look a little different I use cookie cutters to change their shape and add other elements to help complete the picture of the sandwich. 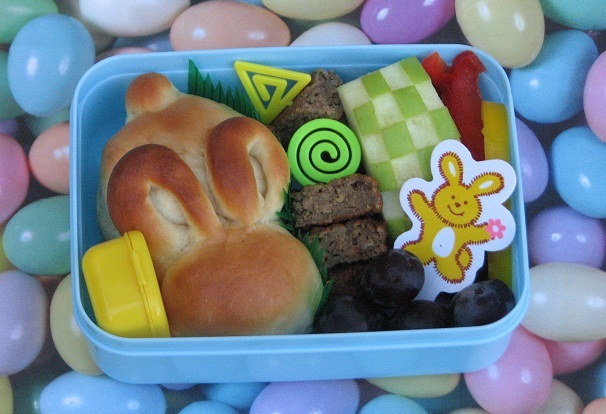 Today’s turkey and cheese sandwich was given a slight 3-D effect by spreading out bunnies made of turkey, cheese, and a sandwich thin. 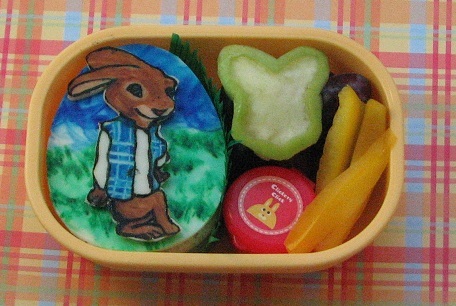 The bunny was given some celery grass to hop into and a raisin eye to help him look where he was hopping. 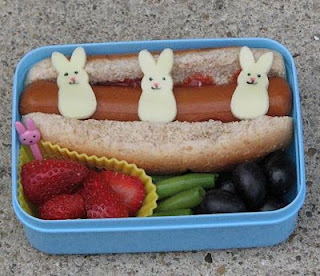 The other sections contain small carrots and raspberry yogurt with flower sprinkles. 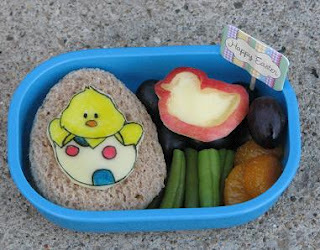 Sprinkles dress up all kinds of foods! My son loves to find them in his yogurt.